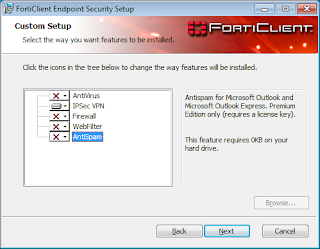 In this article we will configure remote access VPN on Fortigate firewall using command line interface. We'll also look at installation and configuration of FortiClient at client end.
! 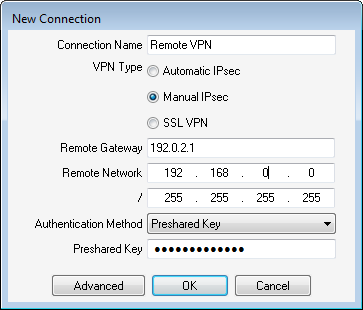 Creating the DHCP server for the IPsec VPN. 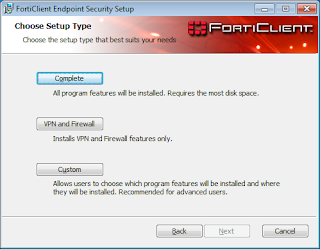 Depending on the type of your client OS, you can download the FortiClient from below links. 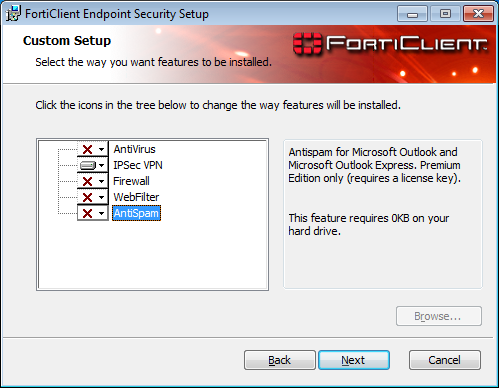 After downloading the setup file, proceed to installation as per the below images (click on image to enlarge). Deselect all the features except "IPSec VPN"
Now the installation of FortiClient is successful, so we'll proceed towards configuration of FortiClient. 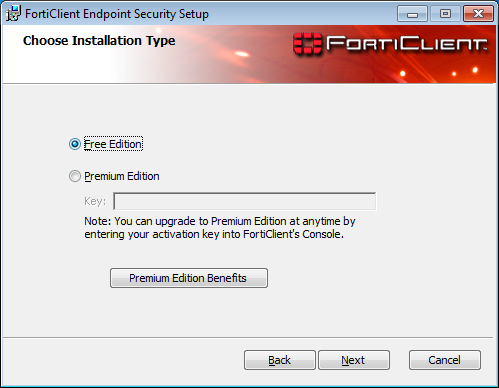 On the remote computer, start the FortiClient console. Go to VPN >> Connections. 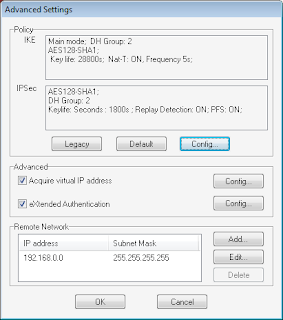 Enable and select Config to ensure DHCP is set. 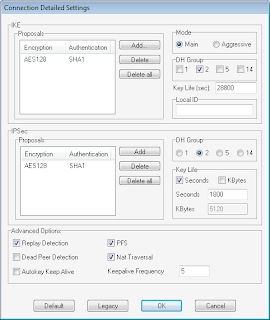 Enable and select Config to ensure Prompt to login is set. 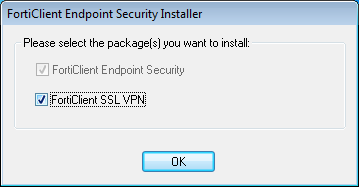 In the Policy area, select Config. 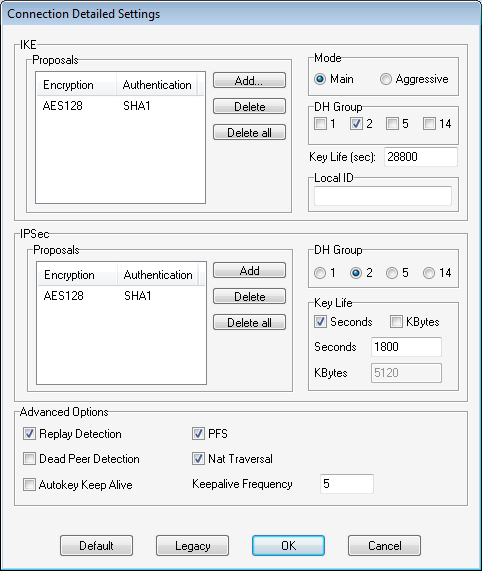 For both IKE and IPsec Proposals, remove all except AES128-SHA1 entry. In the Mode area, select Main Mode. In the DH Group area, select group 2. In Advanced Options, ensure that NAT Traversal is enabled. Select OK to close the windows. You are done. 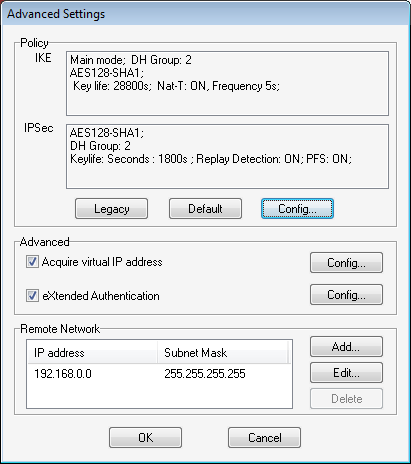 Now you can connect to the VPN from the FortiClient console. 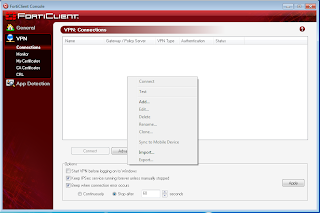 Alternatively, if you have VPN configuration file (.vpl), you can also use that configuration file to add the VPN connection profile just by importing it. 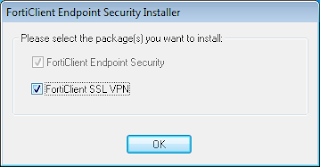 To import the VPN configuration file, follow the below steps. Now you can connect to the VPN from the FortiClient console.